Reclamation works in assigned basins in the Columbia Basin to complete fish habitat projects for the 2008 Federal Columbia River Power System (FCRPS) Biological Opinion. 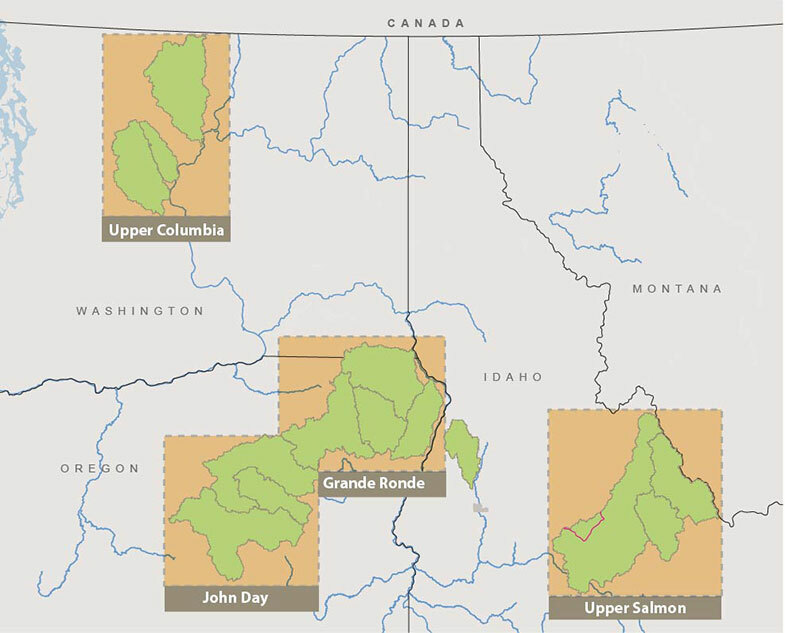 Reclamation works in partnership with local landowners, representatives from states, tribes, other federal agencies, project sponsors, and non-profit and conservation groups on habitat projects to improve spawning and rearing habitat for Columbia River Basin salmon and steelhead listed under the Endangered Species Act. CSRO provides funding, technical assistance and designs to the project teams. Project sponsors conduct permitting and construction implementation. Project teams have been very effective in implementing over 200 projects since 2002 and currently 15 to 30 fish habitat projects each year. The projects deal with barriers to anadromous fish, securing additional instream flows, adding large wood to streams, adding channel complexity to streams and screening fish to prevent them from entering irrigation canals. Since 2015, the project teams have implemented over 30 projects including five (multi-mile) stream complexity projects. These large channel complexity projects provide additional habitat for juvenile salmon and steelhead to rear and grow as they prepare to migrate to the ocean.